You can't hide from the truth... Experience a live-action interactive drama, exclusive to the PlayLink for PS4 range. Erica throws you into a shadowy world of emotional, interactive storytelling, with the flow and production values of a Hollywood movie, all seamlessly unfolding in real time – all while you guide the namesake protagonist on her journey. 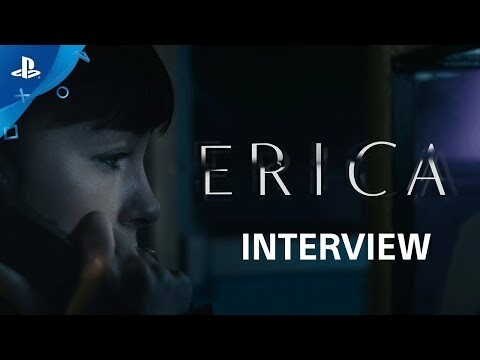 Enjoy pioneering live-action technology, with your smartphone as the controller which lets you interact with Erica’s world. Perform actions such as delicately wiping a tear from her cheek or flipping through the pages of a book as you dig deeper into Erica’s world.